TENS of thousands of gardeners around Australia have reaped the rewards of a modern take on an ancient planting tradition as its creators prepare to mark 10 years of production. 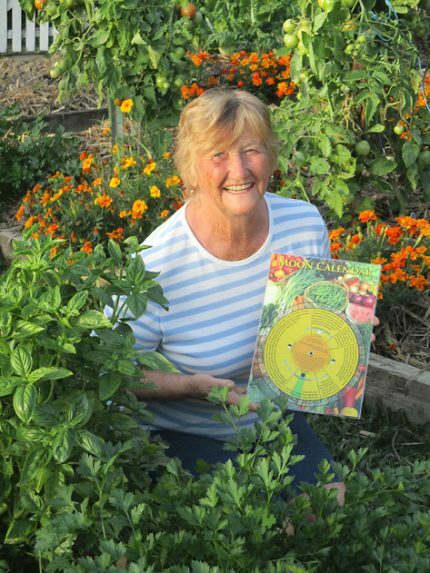 Kuranda couple Jean and Ray Scott launched their perpetual Moon Gardening Calendar in 2007 and it has continued orbiting gardening circles with growing success. “We have had some wonderful stories from people using it. One lady in the Snowy Mountains is adamant it’s the reason she keeps winning the local show produce awards,” Jean says. The perpetual calendar sets up a monthly routine which ensures different jobs are done at the optimum time, saving time and money. “If you put liquid fertiliser on during the growing time the plants will use it straight away so it won’t be wasted,” Jean says. The couple started lunar gardening more than 45 years ago while growing vegetables commercially and say it makes seeds germinate faster, creating strong early growth which makes for healthier plants that produce better yields. They later started a plant nursery and used the same methods for growing general garden plants such as flowers, shrubs and trees. “The moon affects the sap flow in plants, so taking cuttings at the right moon phase means there is more sap in the plant, creating a much better strike rate,” Jean said. Jean says the tradition is based on the moon’s gravitational effect on the moisture in the plants and soil. Just as the moon influences the tides, it also affects all other water on the planet, raising and lowering the groundwater tables at various times of the month and increasing the sap flow in plants. As a result, moon gardeners divide plants into two groups. A high sap run favours above ground crops, which have their edible part above the ground. The other group of plants are root crops, which have their edible part below the ground, including carrots, potatoes, beetroot and onions. “When your livelihood depends on a good crop you quickly learn to follow what works,” Jean says. “We were having trouble with lettuce going to seed too early, which meant we couldn’t sell them, when someone told us to plant by the moon. It made such a difference, the seed germinated sooner and the lettuce weren’t bitter because they grew faster. The calendar provides easy-to-follow directions on the right time to plant and take cuttings, when to fertilise, the best time for pruning and grafting, when to cultivate and even when to fish. It divides the 28-day lunar cycle into six periods of various lengths for different activities which can be adjusted to any month you’re ready to start gardening, anywhere in the world. “What makes this calendar different from annual moon planting guides is that you just reset it each month, so you can use it year after year,” Jean said. 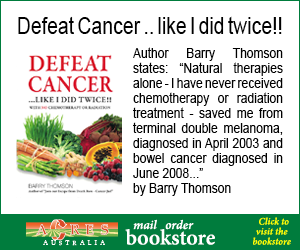 The Perpetual Moon Gardening Calendar is available from Acres Australia Bookstore. Click HERE.